Since embarking on another adventure to Spain, I have barely written here. 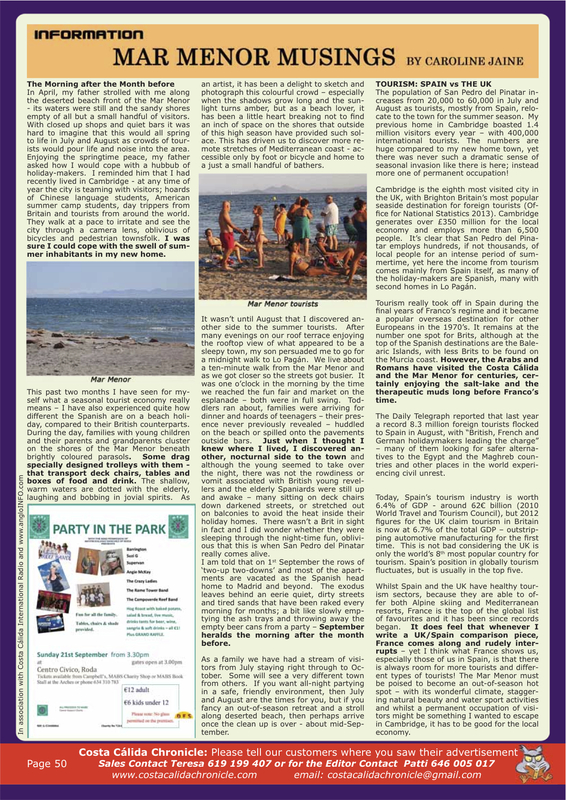 This is partly because my creative writing juices have been depleted by writing a monthly column in the Costa Calida Chronicle (Septembers article at the bottom of this page, but you can catch up on other months on their website). Another draw has been the novel I am writing (18,000 words so far) and the amount of time I have spent painting and photographing my surroundings. For this blog entry I thought, therefore to illustrate my experiences so far with a slide show of images. Click on an image if you want to know more.